“Why isn’t [member name] here? !” – I likely thought the member in question would fit a different kind of list better instead. For instance, Maachan (Masaki Sato) of MM’16 has won our annual cuteness poll several years in a row, but I feel that her personality is such a huge part of her popularity that she is not quite the right pick for this completely superficial listing. “Why are there more/fewer pictures of [member name]? !” – I made several different picture sets and making decisions is hard. Find the leftover pictures here. 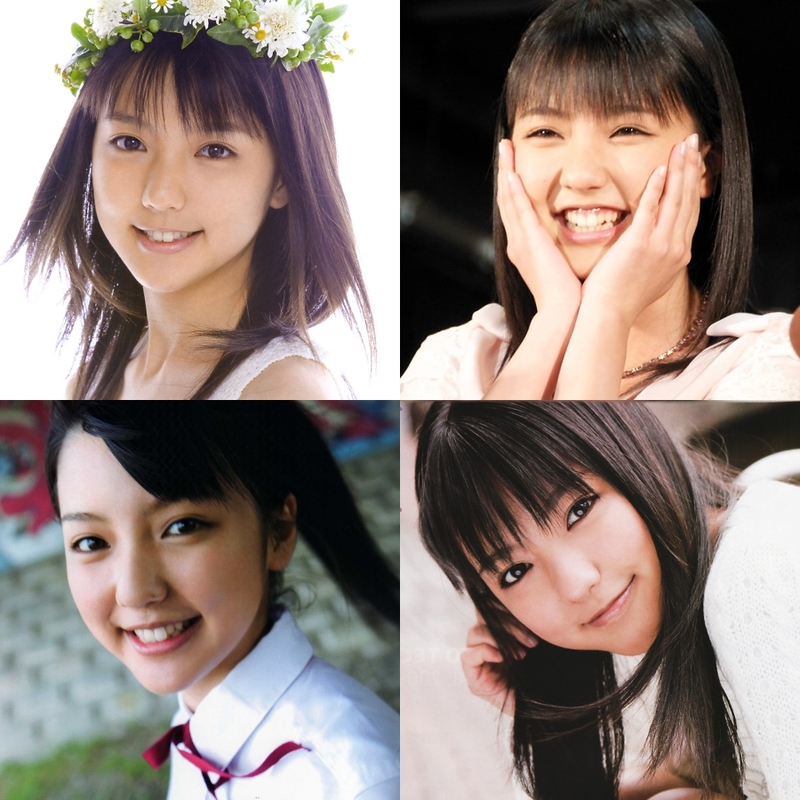 When Morning Musume first started, the group needed one central face of cuteness to rely on. It’s not that the rest of 1st generation weren’t pretty – they just didn’t have that cute kitten-like quality that Nacchi did at the time. Nacchi had a great smile and photographed like a doll; it is no surprise why she was the Original Kawaii of Morning Musume and Hello! Project. 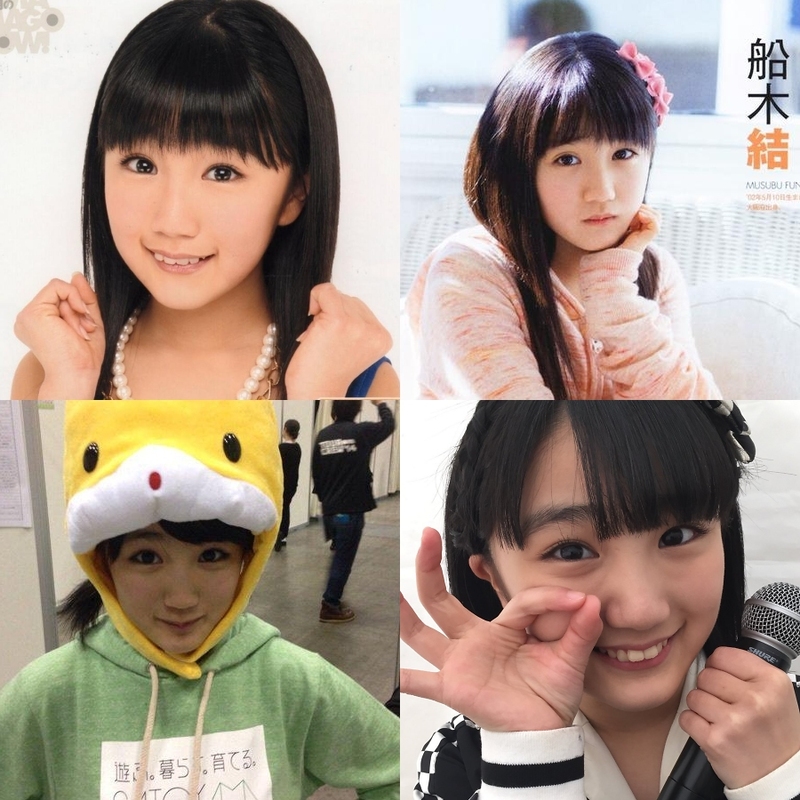 However, I have only included early pictures of Nacchi here, since the way I see it, she’s the only ace of Morning Musume who has eventually lost some of her spotlight to newer members (first Maki Goto, then 4th gen, then 5th gen’s Aichan). It’s not that she stopped being cute, of course, but for the purposes of this post, her early contribution is most relevant. The first time I became interested in Morning Musume was when I saw Aibon in a group picture of Morning Musume and asked “who is that ridiculously adorable girl? !” Aibon perhaps set the standard that all H!P cuties since might be compared to. “She is cute – but is she Aibon cute?” She may have been a nightmare to work with as a kid, but to fans, she was so cute it hurt. Again, I mostly included older pictures because I think that is the Aibon that people most vividly remember. 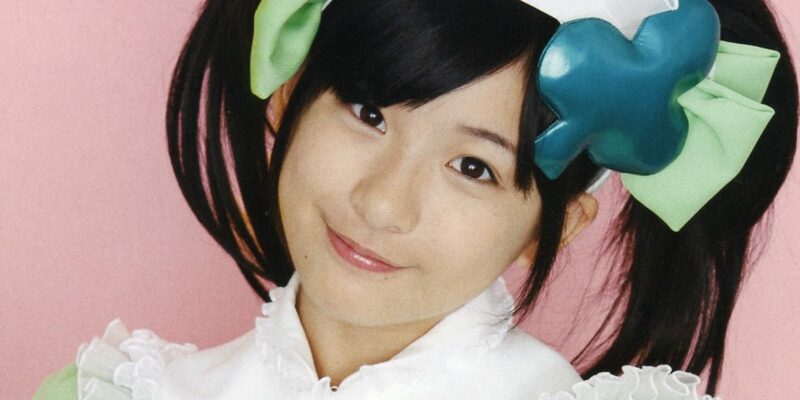 Especially with her adorable voice, Yuukarin was almost unbelievably cute. She left the business entirely at the end of 2011, leaving behind heart-broken fans who still wonder where she came from, if she was real, and yearn to see her again, even if it’s in pictures with her current boyfriend. Honorable mention to fellow S/mileage ex-member Kanon Fukuda, who could also very well be here (and is our banner image!). Manochan was so cute that she got to debut solo before other arguably more talented Eggs (at the time) like Yuukarin on this list. I would describe Manochan’s features as soft and her smile very warm, leading to choosing the word ‘healing’ for her title, which I’ve sometimes seen used in the context of idols before. About to release her 9th photo book, Manochan definitely earns her spot on the list. 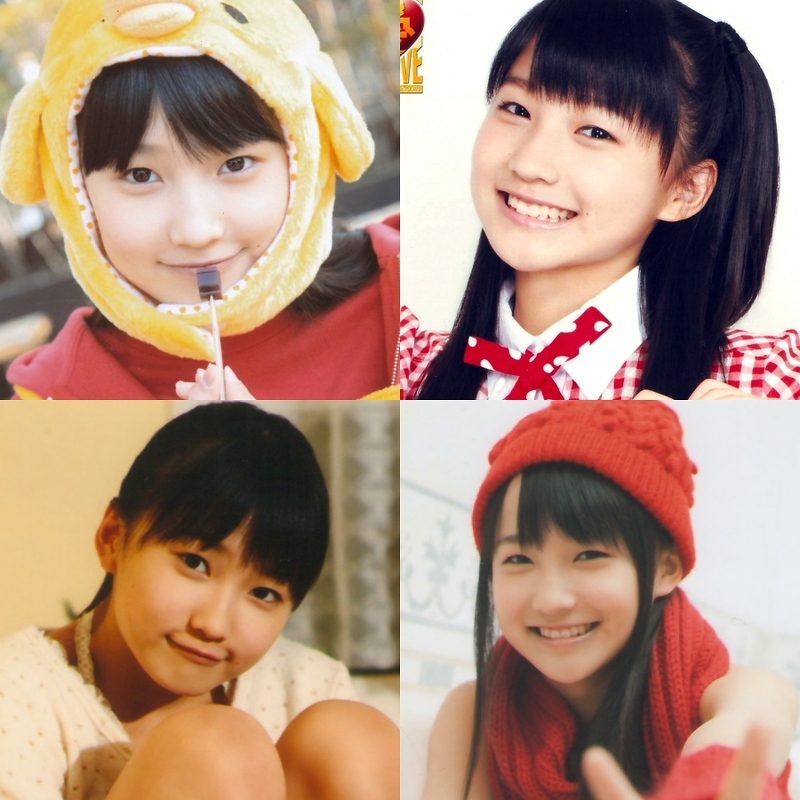 Riho is so cute that Sayumi, an expert on cuteness, drowned her in compliments. Riho quickly became an ace for Morning Musume, and in looks her small eyes differentiated her from the previous Momusu aces. Although Riho has not been seen much (if at all) since her graduation from Morning Musume at the end of last year, for all we know she is still in Hello! Project, and she is included in the ‘now’ for that reason. 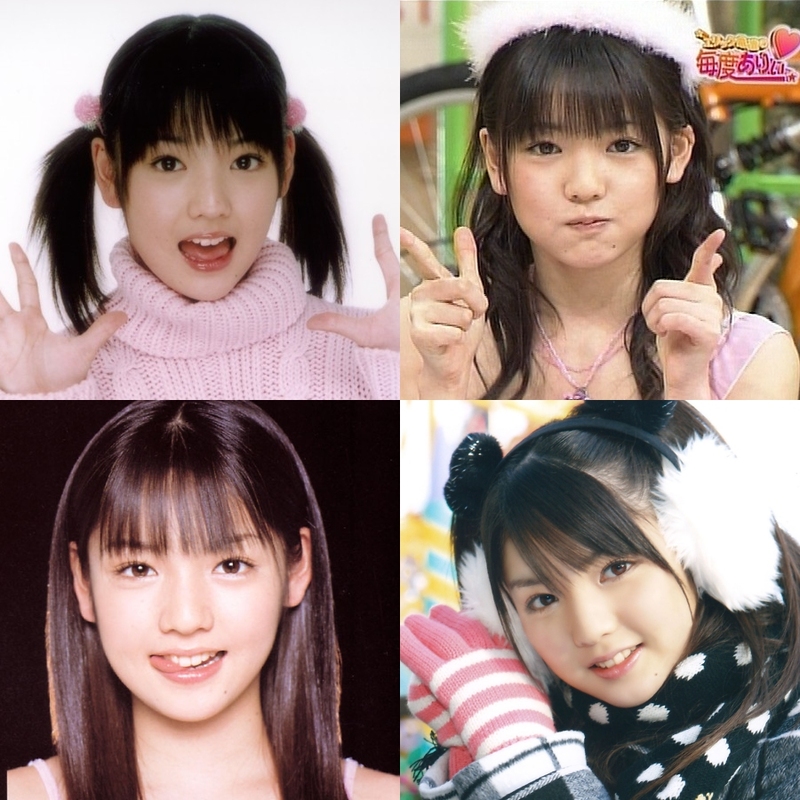 Airi was absolutely adorable when she first started as a wee child, and has arguably only become cuter as the years have gone by. Airi will certainly go down in history as one of the most cavity-inducing members in Hello! Project. Not finding Airi cute is not an opinion, it’s pure madness. 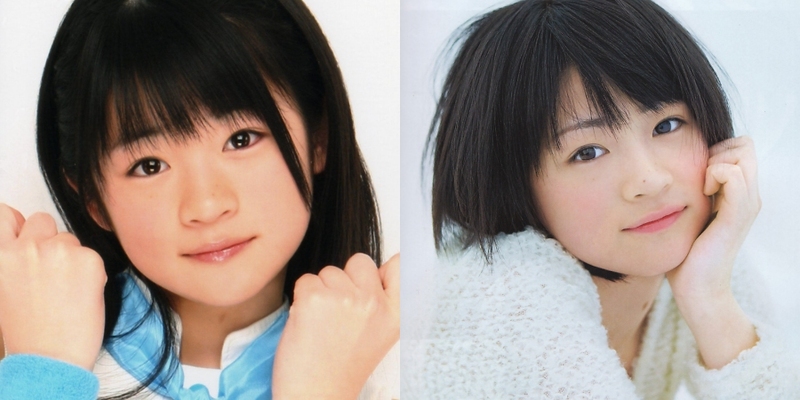 When magazines are looking for current cute H!P members to feature, they seem to almost always call Karin. Having started as an adorable kid, at 18 her cuteness is certainly not fading. Both her smirk and doe-eyed expressions are super cute. In Juice=Juice she perhaps can’t reach as great fame as she would, say, in Morning Musume, but that doesn’t mean her cuteness is not top notch. 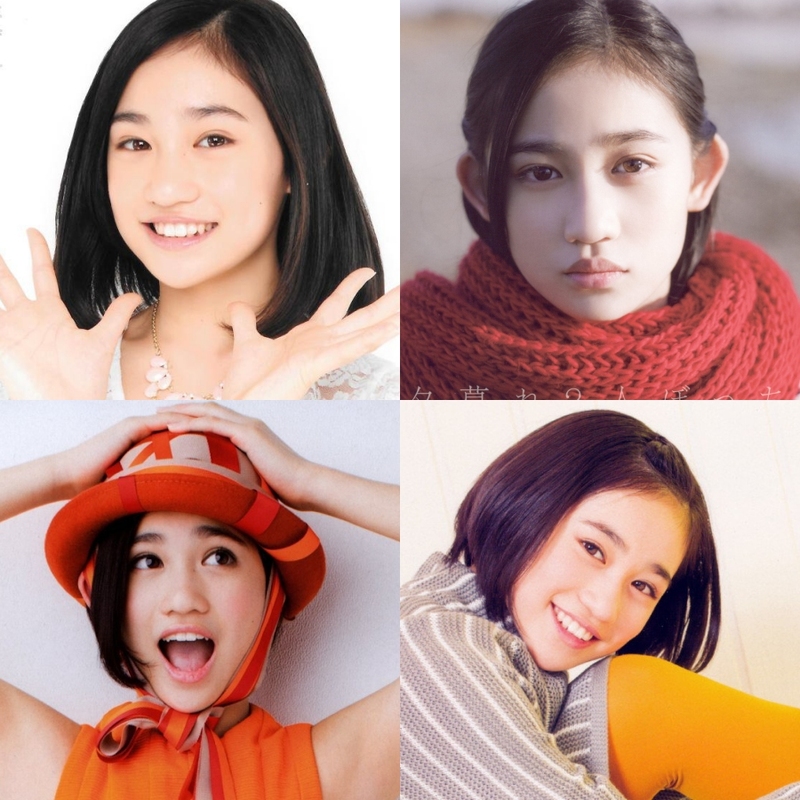 Hamachan’s cuteness has never been a secret, since she’s been featured in magazine shoots even before her debut. However, I can’t shake the feeling that a real break-through from Hamachan is still upcoming. 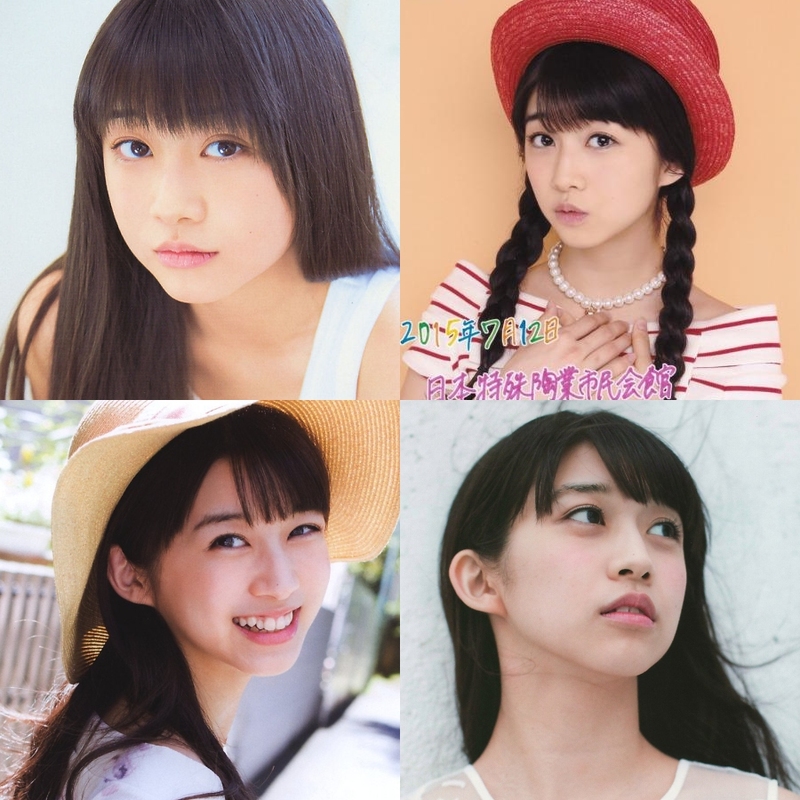 Chiichan might be my most biased inclusion on this list – or so I thought until I realized that she is frequently featured in magazine shoots. Earlier this year she was featured in a photo shoot together with Karin, Hamachan and Maria, all to be found on this list as well. Chiichan is ordinarily and extraordinarily cute at the same time, which is probably why I hesitated to include her. Musubu is simply too damn adorable. 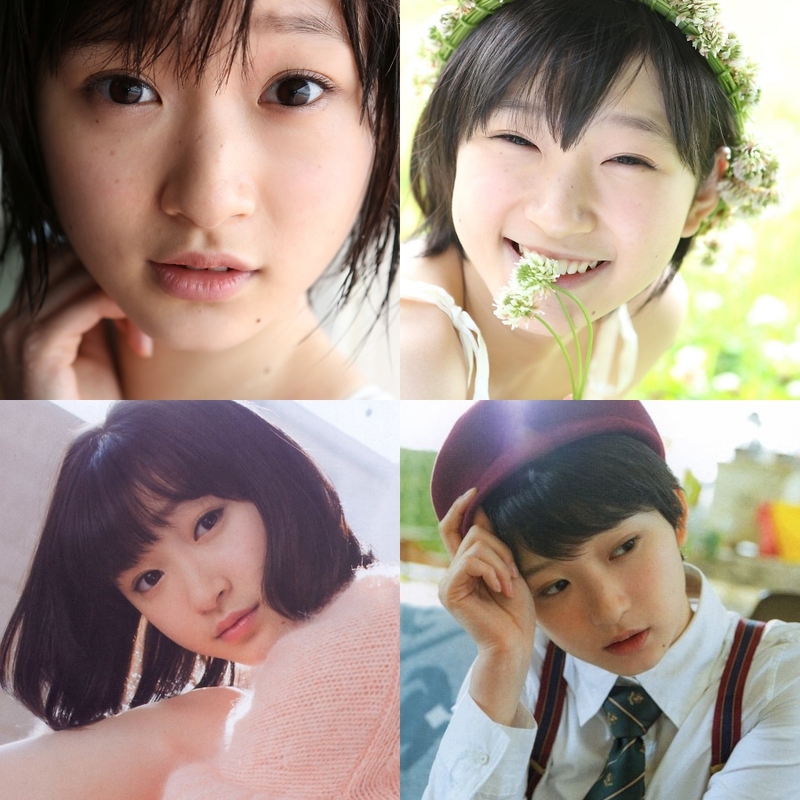 It is too early to say if she becomes one of the top cuties of H!P, but damn if she is not adorable. POSSIBLY IN THE WRONG PLACE ON THIS LIST? Both Maria and Rikako are definitely cute, but their photogenic quality perhaps goes beyond ‘cuteness’. At times, they are astonishingly beautiful. They also have quite unique and memorable features compared to many Japanese idols. Do you agree, disagree? 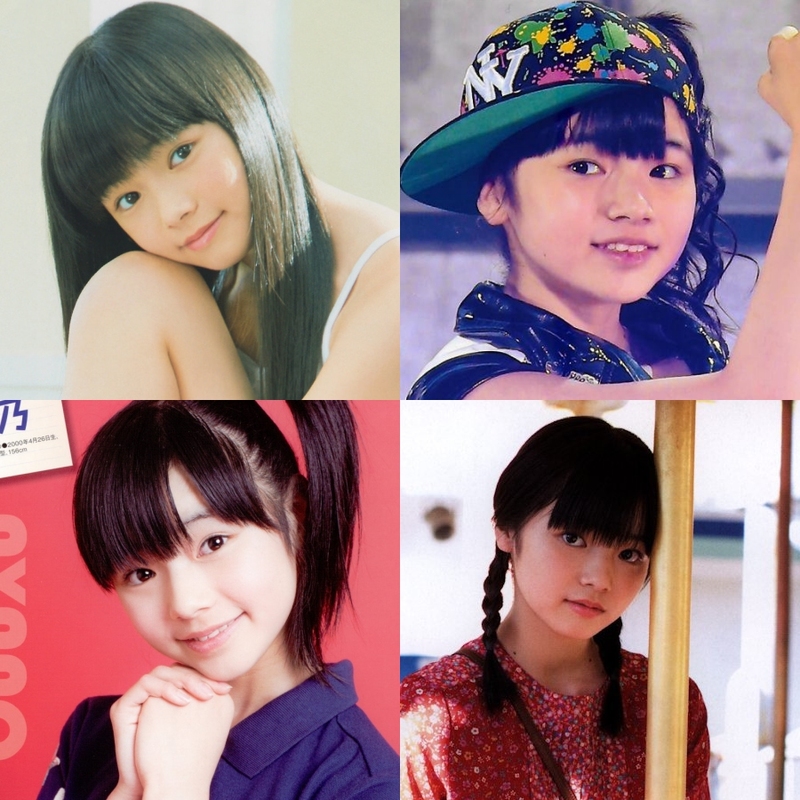 Who are the main faces of cuteness in H!P, and how would you explain or back up your picks? Find the forum discussion post here with additional pictures that didn’t make it into this post!